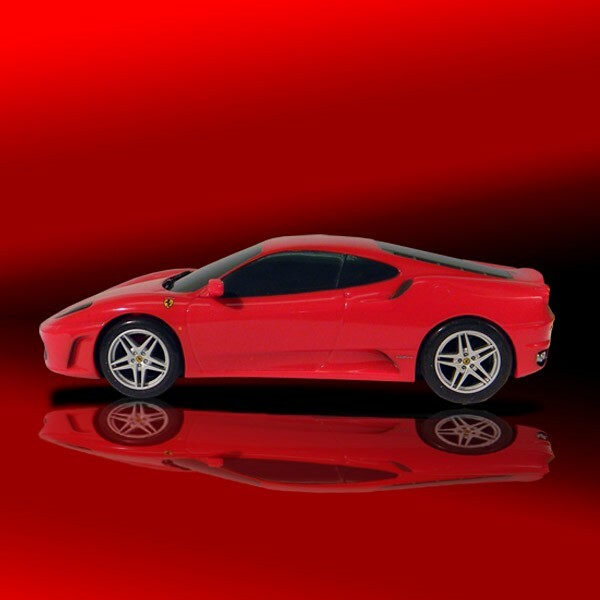 ST-1052-F Jel Claws slot car tires designed specifically for 1/32 scale Scalextric Ferarri F430. Ferarri F430-Drift, Aston Martin DBS, Lamborghini Gallardo, Lamborghini Gallardo "Police", Porsche Spyder, Mercedes Benz SLR McLaren 722 GT, MG Lola, GT, Nissan GT-R, Nissan GT-R Drift, Peugeot 908 Hdi, START Endurance Cars, TVR T400R. Jel Claws tires work like magnets - they really grip the track! All Jel claws tires are made from a special proprietary blend of the highest quality synthetic rubber - not cheap silicone, or urethane. Jel Claws tires are designed in CAD, and injection molds are CNC machined for extreme precision. 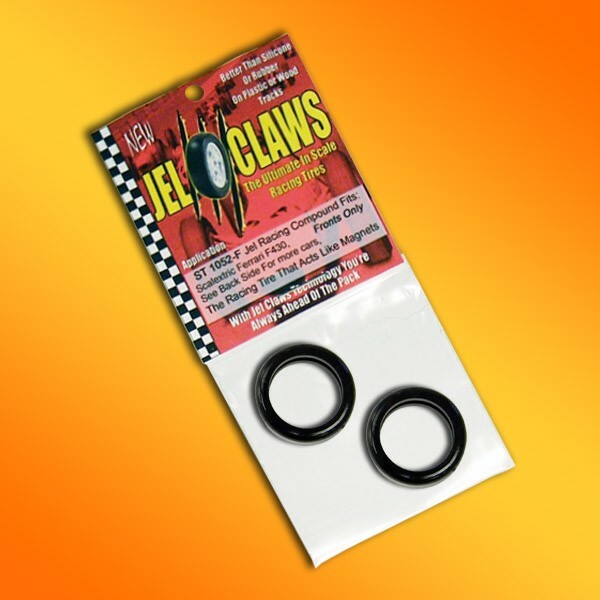 Jel Claws tires won't tear when you fit them onto oversized rims, they absorb track vibration, and lower you lap times!